Rivalries in sports are what define athletes and the spectators. The Browns-Bengals rivalry was a heated one long before a single game was played between the two. Paul Brown, the man who turned Cleveland into a dynasty, had been pushed out of town by owner Art Modell in 1963 and finally returned to the NFL five years later as owner and head coach of the expansion Bengals. Sharing the same state and separated by just a few hundred miles, these teams two annual showdowns are a Battle for Ohio. Now, neither team has won an NFL title since the Bengals were formed, but that hardly matters. 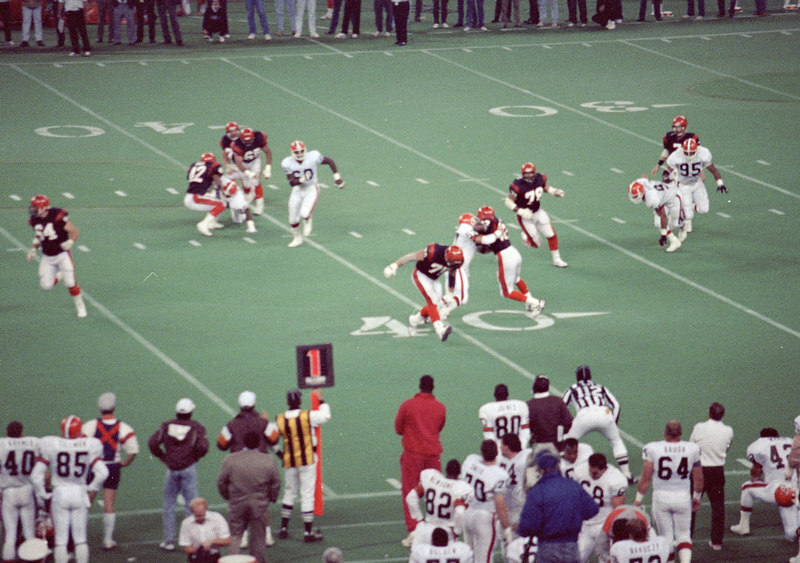 In the mid- to late-1980s, Boomer Esiason s Bengals and Bernie Kosar s Browns were two of the premier teams in the AFC and one of the two appeared in the conference title game each season from 1986-1989. And when Bengals head coach Sam Wyche delivered his famous You don t live in Cleveland, you live in Cincinnati blast it stirred the rivalry pot even more.